It’s the most wonderful time of the year—oversized sweater weather is here! If you’re stumped on how to style a slouchy sweater, keep this in mind: it’s all about balancing proportions. Keep scrolling for our tips on styling an oversized sweater! Too many relaxed pieces in one outfit can leave you looking sloppy instead of snuggly. Be sure to always pair your oversized sweater with fitted bottoms such as skinny jeans, fitted trousers, leggings and skirts. Despite what its name might imply, an oversized sweater is usually a style you should nab in your usual size. This cozy favorite is designed to have a much looser fit than a typical sweater, and can sometimes offer a longer length similar to a tunic. Thanks to their growing popularity, there’s a wide assortment of oversized sweater styles to keep you cozy while looking cool this fall! Knit sweaters are usually soft and breathable because they’re often made from natural-fiber textiles such as cotton, wool and rayon. Juxtapose the loose, casual fit of a knit with edgy leather leggings and ankle booties. Not quite sweater, not quite coat—but 100% cozy. Pair an oversized coatigan sweater with jeans, work trousers, a mini skirt—you name it. A sweater dress is equal parts comfortable and classic. Take your sweater dress to work paired with a plaid trench and loafers. If you’re serving a #streetstyle ensemble, layer a shift sweater dress over moto-detail leggings and finish with slip-on fashion sneakers. Still unsure how to wear and pair your oversized sweater? 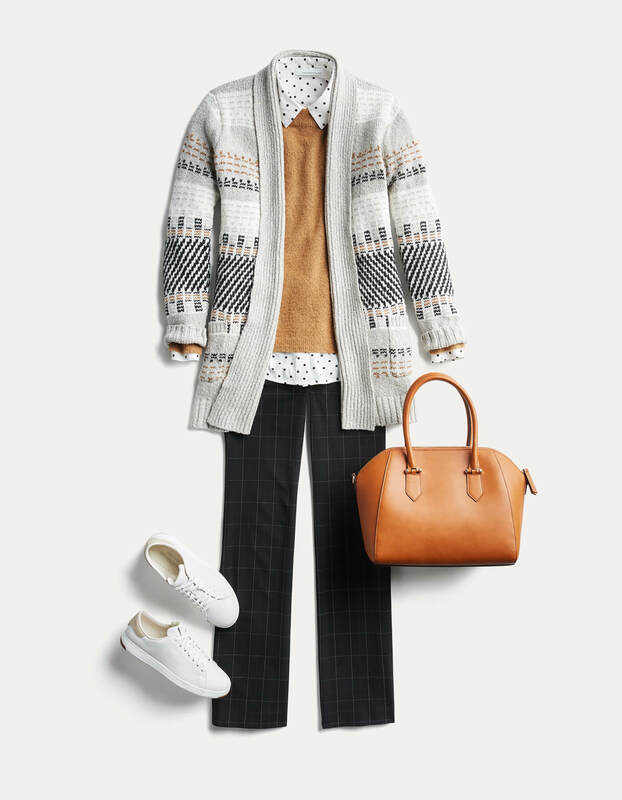 Don’t stress and impress by combining your sweater with our favorite foolproof pieces, shared below! 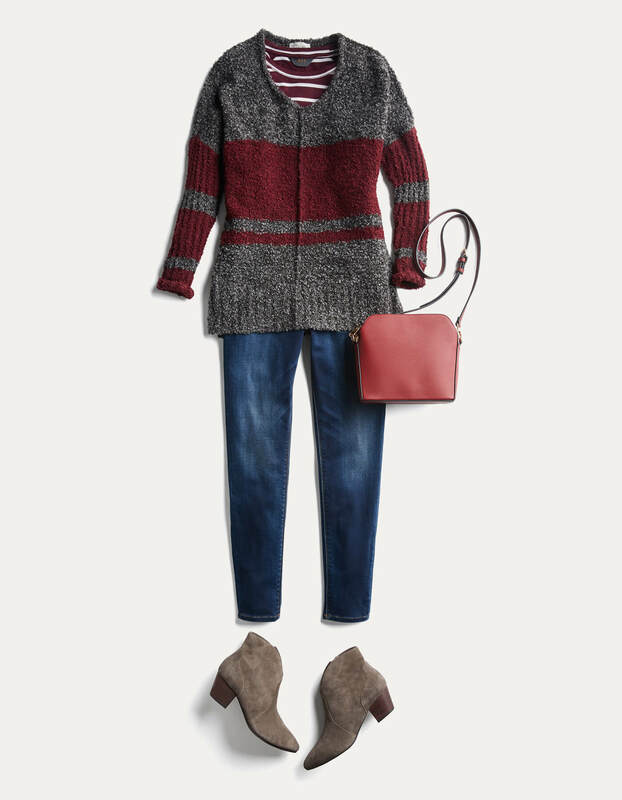 Boots paired with oversized sweaters are a classic autumn coupling you can count on. Whether you love over-the-knee boots or ankle booties, you can’t go wrong partnering your favorite pair with skinny denim or leggings. Scarves help you stay warm and add styling versatility to your oversized sweater outfits. If you live in warmer temperatures, opt for lightweight scarves made from rayon, cotton or modal fabrics. Live in a chillier climate? Look to medium-heavy weight scarves in chunky knits to keep you cozy. The world’s most comfortable bottoms also perfectly pair with slouchy sweaters. Already in love with leggings? Try an unexpected material such as leather or suede when you want to shake things up. As versatile as leggings are, so are the kinds of shoes you can pair them with. Boots, sneakers, flats and heels are just some of the footwear you can pair with leggings. Jean and legging’s lovechild, jeggings offer the appearance of denim with the comfort of leggings. Their fitted silhouette complements any oversized sweater outfit–just add boots and you’re ready to fall into autumn. Above all, balancing proportions should be top of mind when styling an oversized sweater. Partner your slouchy sweaters with fitted bottoms such as leggings and jeggings for ultra comfort. Give these laid-back looks a style boost with other trendy pieces like scarves and boots. Want an oversized sweater in your next Fix? Schedule one today and let your personal Stylist know!